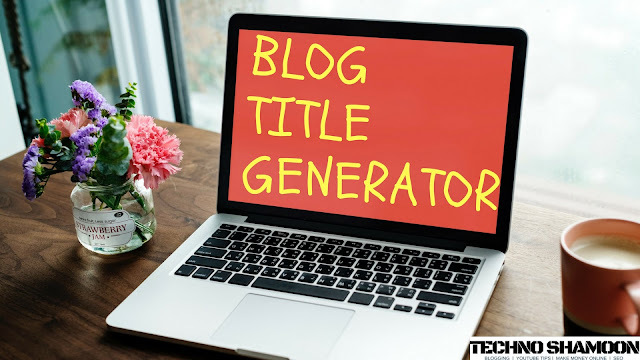 Hello, guys today I will tell you about blog title generator. If you are a blogger than the title is the most important thing for your article because visitors read your title than see your blog and when we write an article that first, we find a title mean keyword so let's go to the point. Blogging is not easy but if you have an interest in blogging so this will have been easy because interest is the main power if you have an interest in anything then you can do that thing but if you don't have interest then you can't do that work so first, you should have interest then start blogging or other work Now let's go to the point. Now i think you have a question what is blog title generator so don't worry I am telling you so blog title generator is a tool from where you can find a title, keyword or article ideas it is a very useful tool for bloggers because we need article ideas and keyword and title most bloggers use it and I also use it for generating awesome title, keyword or article ideas. There are many profits of title generator some profits are here. 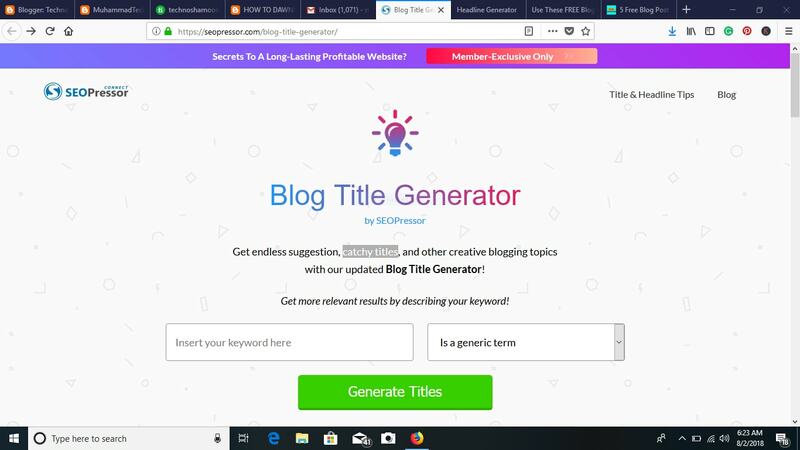 These are some benefits of title generator I know these are some benefits title generator benefits are more than 20 that's why bloggers use it if you are a blogger and you have not ideas for article and you don't have keywords so you can use title or keyword generator and one more thing which is so interesting its free all title generator is free you can use it freely but if you want premium so you need to pay money for premium but I suggest you for free account. 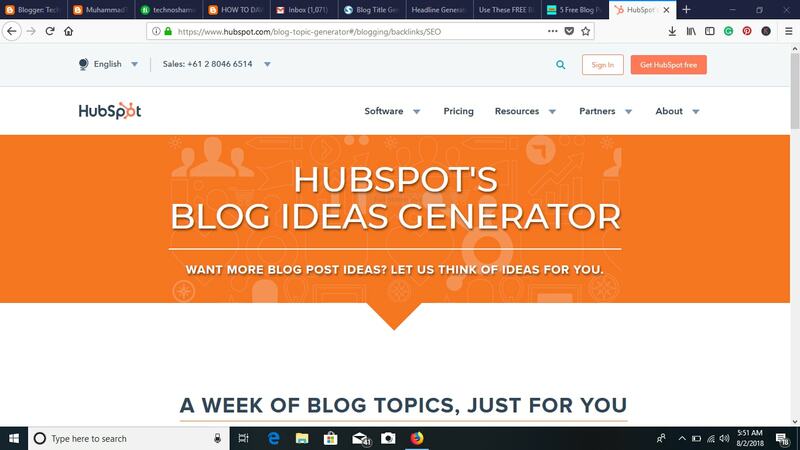 Now learn how to make account in HubSpot this is very easy and you can make it easier just go to HubSpot website you can click on above link and then go to sign up and then write your email and password and click on sign up now a verification email shall come on your email box check your email box and then verify your account now your account has created. This is the second blog title generator and I want to tell you some interesting things about it because it is a good title generator for getting endless suggestion, catchy titles, and other creative blogging topics actually this is for suggestions and topis this is a good title generator but not like a pro and you cant find here SEO optimized keywords and title but you can find here easily suggestions and topics now you are thinking so why it is best because it gives us catchy titles like - what happened when I lost my $1000 etc. This is the third title generator and a very interesting thing about it its very very easy to use you can use it without any problem but it gives one title in one time and other title generators give 3 or more in one time but this is not a big problem good thing is it gives powerful and SEO optimized titles this is specially created for title only you cant generate here suggestions you can use it for your article title I have used it for my second blog. 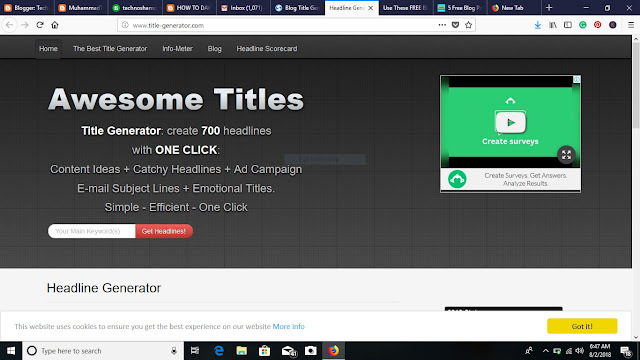 This is my favorite title generator because it generates more than 700 titles in one click that's why I love it and I use it for my article titles in my second blog and which title I use those titles easily rank on google because it generates SEO optimized titles you can use it free for your blog article. This is the last tool for generating blog title and it is a very nice tool for generating more ideas but I am not recommended you because it generates only normal keywords, not SEO optimized and not catchy keyword or title but you can use it this is free tool and here you can generate normal keywords if you want to generate high keywords and best ideas so you can use other tools which I told you in above so go and get your title for your article and get more traffic to your site and more ranking. So I have told you all blog title generator tools and no will tell you my opinions so these all are best for you and these are easy to use and one best thing these all are free tools that's why I suggesting you these tools give you the best topics and ideas for your article some time I don't have any keyword then I generate idea from these blog title generator tools its normal all bloggers use these tools for generating SEO optimized keyword if you have a blog so you should use these tools depend on you which tool you choose to use these tools and get ranking of your site. Thanks you I will talk with you when I need help. Nice Post and thanks for sharing this.